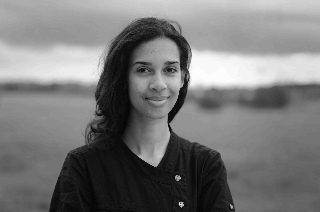 Theresa, you grew up in Sweden and Burkina Faso, how have your experiences in these very different cultures shaped you personally and professionally? I grew up with a mother from Sweden and a father from Burkina Faso. They met when they both received grants to study abroad at Washington State University. When they had children, my three brothers and me, they decided that they wanted us to grow up with both cultures. In Sweden we lived on the island Öland, south of the mainland, and in Burkina we lived in the capital, Ouagadougou. For me, I enjoyed having two homes in different countries, and it helped me to get a greater understanding and perspective of different cultures and values. Since I am so used to moving around, I have noticed that I am always travelling a lot, going from place to place. Working with film allows me to be mobile, and to explore my curiosity in different projects and subjects that I find important. 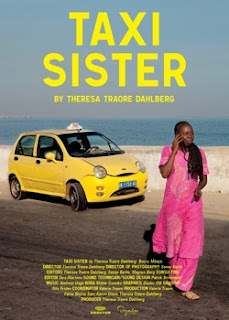 Taxi Sister, is your thesis film for your studies at the Royal Dramatic College in Stockholm, how did you choose the subject and location for the film? I was on Skype talking with a good friend of mine, Valerie Traore who works and lives in Dakar. She mentioned the Taxi Sisters Project and immediately I became interested. I did some research and found out that today there are only 15 women who drive taxis in Senegal compared to the 15,000 male taxi drivers. I wanted to get to know one of the women drivers and explore her everyday experiences and to know more about why she made the choice to go against the norm and the consequences for doing so. Being in the film industry I could also relate to being a woman in a male-dominated profession. I also wanted to make a movie that was inspiring for women all over the world, and to give a different picture of a country in Africa, from what I am used to seeing in the western media. Boury, the protagonist of Taxi Sister, is a fiesty and assertive woman, how were you able to get to know her and her life as a taxi driver? I spent a lot of time with her on the phone before coming to Senegal. I talked to her while she was working, even when she had clients. Sometimes she would have to stop the call in order to collect the fare for the taxi ride. While there I had hours and hours of in depth interviews. I also spent time driving around in the taxi, though not filming, but just to get a sense of her daily routine on the job. The photographer and I were guests at her house a couple of nights during which time we got to know her family and her best friend Fari, who is also a taxi driver. Your film has travelled quite a bit to many festivals, what has been the audience response to the film? Has it been screened in Senegal? I am still working on arranging a screening in Dakar, hopefully it will be sometime this fall. But there are a lot of Senegalese people that have come to my screenings and they have all loved the movie. Even people who have never been to Senegal want to go there after seeing the movie. When it was recently screened in Italy, there was a great reaction by the audience: "In Italy we have a lot of Senegalese people selling things on the street, I would never have thought that they came from such a beautiful place. All I see on the news is war and famine”. The film has been popular amongst women and men, young and old, and with feminist organizations. At the pre-show in New York there were a lot of young enthusiastic artists from all over the world. I am now looking for a distributor. The film was screened at the CineAfrica Film Festival in Stockholm, what was the reception to the film in Stockholm? In Sweden it received coverage in the largest newspaper and was actually on the cover. In addition, it has been reviewed in a lot of magazines, and has been the subject of discussion on the radio. The screening at the Festival was sold out and the reactions from people were very positive. Yes. Lots of them, but I am developing them as we speak. I am moving to New york this fall, and hoping to be in Ouagadougou this winter.